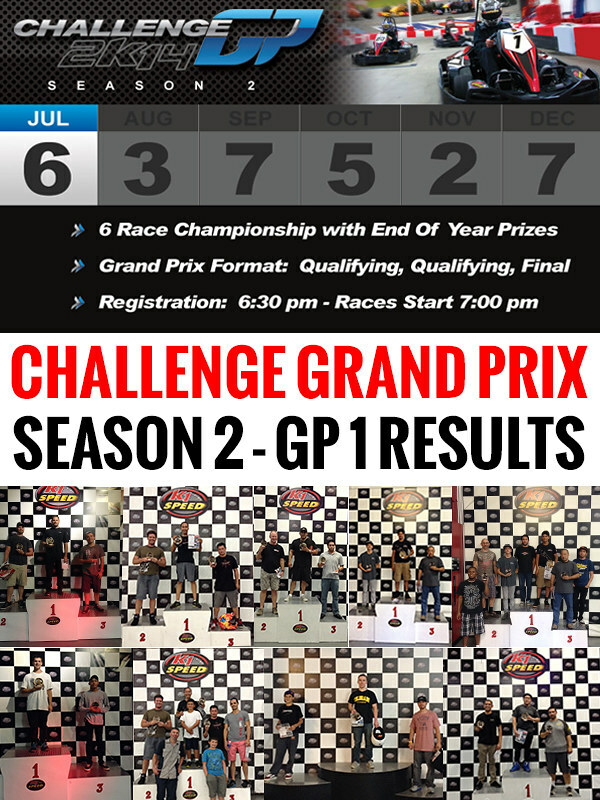 Welcome to Season 2 of the Challenge Grand Prix! We’re happy to see some familiar faces and new ones this go around. It’s Summer time and racers are beating the heat with indoor kart racing nationwide. This past Sunday we saw some great racing across all of our centers including one of our newest centers in Arlington, TX. We look forward to hosting the Challenge GP to a new audience in Miami (Medley) soon.